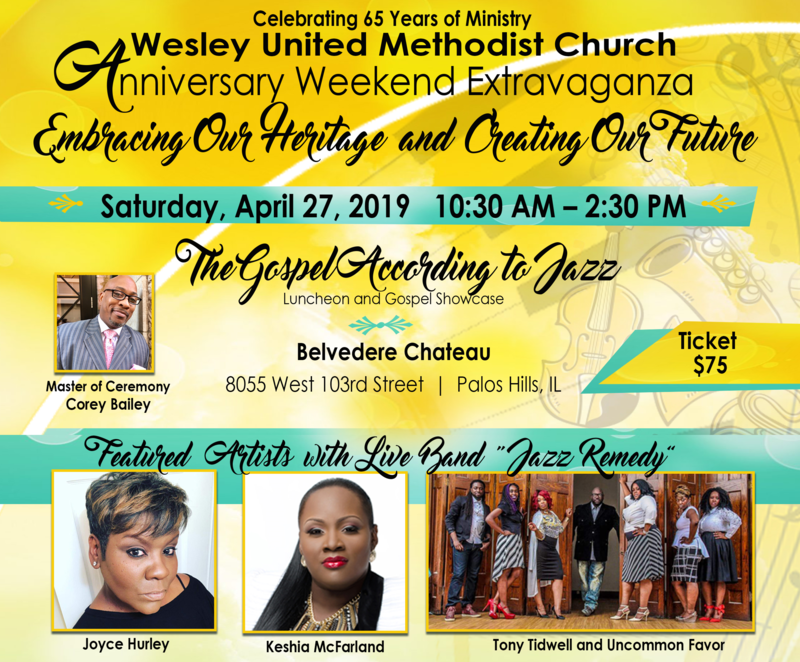 A magnificent Anniversary Weekend Extravaganza for Wesley is coming on April 27 and 28, 2019. The theme for the celebration is Embracing Our Heritage and Creating Our Future, which showcases Wesley’s notable milestones of endurance. Tickets for the April 27th Luncheon and Gospel Showcase, “The Gospel According to Jazz,” ($75 each; $750 per table) are on sale NOW! Please submit nonperishable donations by Sunday, April 14, 2019.